Themes permit you to create and customize content visualizations for all devices like: Desktop, Mobile and Tablet. This themes can be assigned for multiples sites at the same time without affecting the other sites. 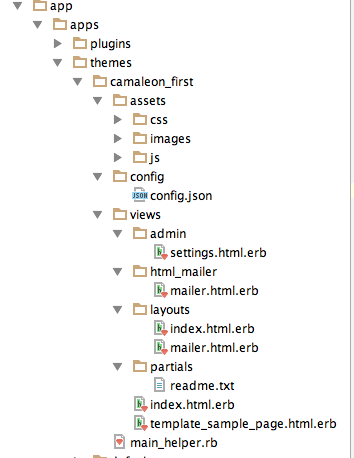 Camaleon CMS manage multiple levels of themes to avoid rebuild all theme files, i.e. the missing files will be inherit from default theme and also you don't need to duplicate themes with small variations between sites, you can customize a theme file for a specific site.